Good science project does not stop with building a motor. 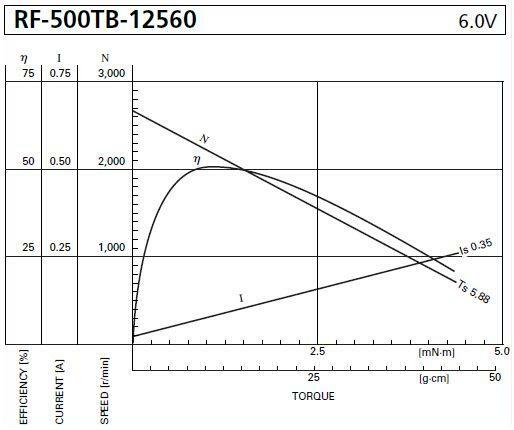 It is very important to measure different electrical and mechanical parameters of your motor and calculate unknown values using the following helpful formulas. We will use the International System of Units (SI). This is modern metric system that is officially accepted in electrical engineering in the USA. R – resistance, measured in ohms (Ω). This formula could be used in many cases. You may calculate the resistance of your motor by measuring the consumed current and applied voltage. For any given resistance (in the motors it is basically the resistance of the coil) this formula explains that the current can be controlled by applied voltage. V – applied voltage, measured in volts (V). ω – angular speed, measured in radians per second (rad/s). π – mathematical constant pi (3.14). 60 – number of seconds in a minute. If the motor has 100% efficiency all electrical power is converted to mechanical energy. However such motors do not exist. Even precision made small industrial motors such as one we use as a generator in generator kit have maximum efficiency of 50-60%. Motors built from our kits usually have maximum efficiency of about 15% (see Experiments section on how we estimated this). Don’t be disappointed with 15% maximum efficiency. All our kits are intended for education and not designed for real applications. This efficiency is not bad at all – it is actually much better than most of other self made designs on Internet can provide. The motors have enough torque and speed to do all kinds of experiments and calculations. Measuring the torque of the motor is a challenging task. It requires special expensive equipment. Therefore we suggest calculating it. Connect the motor to the load. Using the motor from generator kit is the best way to do it. Why do you need to connect the motor to the load? Well, if there is no load – there is no torque. Measure current, voltage and rpm. Now you can calculate the torque for this load at this speed assuming that you know efficiency of the motor. Our estimated 15% efficiency represents maximum efficiency of the motor which occurs only at a certain speed. Efficiency may be anywhere between zero and the maximum; in our example below 1000 rpm may not be the optimal speed so the for the sake of calculations you may use 10% efficiency (E = 0.1). As the result is small usually it is expressed in milliNewton meters (mN•m). There is 1000 mN•m in 1 N•m, so the calculated torque is 1.26 mN•m. It could be also converted further to still common gram force centimeters (g-cm) by multiplying the result by 10.2, i.e. the torque is 12.86 g-cm. In our example input electrical power of the motor is 0.22 A x 6 V = 1.32 W, output mechanical power is 1000 rpm x 2 x 3.14 x 0.00126 N•m /60 = 0.132 W.
Motor torque changes with the speed. At no load you have maximum speed and zero torque. Load adds mechanical resistance. The motor starts to consume more current to overcome this resistance and the speed decreases. If you increase the load at some point motor stops (this is called stall). When it occurs the torque is at maximum and it is called stall torque. While it is hard to measure stall torque without special tools you can find this value by plotting speed-torque graph. You need to take at least two measurements with different loads to find the stall torque. How accurate is the torque calculation? While voltage, current and speed could be accurately measured, efficiency of the motor may not be correct. It depends on the accuracy of your assembly, sensor position, friction, alignment of the motor and generator axles etc. If you want to get meaningful numbers you might use a second generator kit as explained in Torque and Efficiency Calculation section. These curves are generated by plotting motor speed, consumed current, and efficiency as functions of the motor torque. Sometimes there might be also a curve representing mechanical output power. As you can see from the graph speed and current are linear functions of torque so you might need only two measurements to draw these graphs. Efficiency and power will need more data. Usually for small motors maximum power is at 50% of stall torque (approximately 50% of no load speed). Maximum efficiency may be 10-30% of motor stall torque (70-90% of no load speed). While it is technically better to follow the same format and create similar curves for your motor it is not absolutely necessary for a good science project. You may take all measurements, calculate unknown values and plot the graphs where for example speed and torque are represented as functions of applied voltage or current etc. Simple formulas and calculations described here are essential for calculating most common motor parameters. However this is a simplified approach that does not take into consideration many factors. If you want to extend your research further – see Links section and search the Internet. There is tons of information with more complex calculations. See other pages at Experiments section on how to measure motor parameters. The information was useful. Can you please send me calculation for what motor to be best suited to lift or move a load of 150 kgs. Unless the questions refer to the motors built from our kits we cannot answer them or provide any calculations. Sorry guys – please do your own research! Thanks for understanding and best of luck! I love this thing, thank you very much! This is very easy to understand. Thank you. It’s been a while since I’ve had to use this calculation, and I just couldn’t remember it !! Incredible breakdown, thanks a lot. Very good. Help me in school. Are you sure about this formula? π is defined as Circumference / Diameter. If you are measuring linear speed then circumference matters. However angular speed defines how the angle changes over the time so the circumference is irrelevant and the formula is correct. The formula is just unit conversion from rpm to rad/s, but the measure still remains an angular velocity. thanks its to important for me…. Explained in easy way to understand. why the efficiency is between 0 to 15 percent .? why not between 0 to 100 percent. how do you say 15% is the maximum efficiency of the motor ? The calculations are for the motors we have on our site. Explore the site! Really helpful. Well educative. Thanks so much. Wonderful & very useful Explanation. Thanks. It’s actually a great and helpful piece of information. I am satisfied that you simply shared this helpful info with us. delicious and interesting explanations. I’ve been lost the best like this! Nice work, showing your class. Thank you! Exactly, what I was looking for!